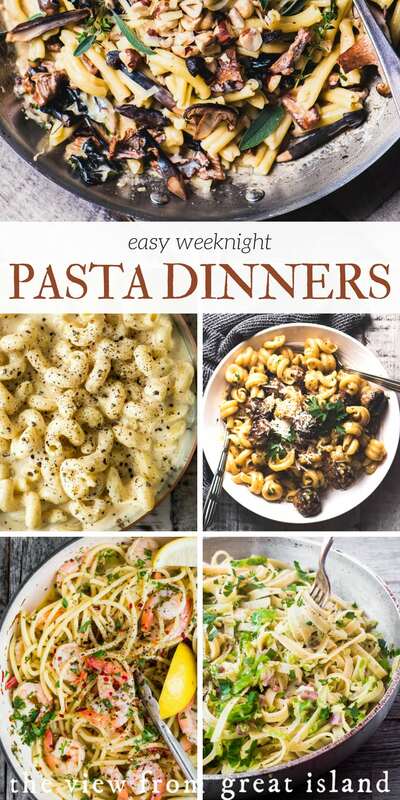 5 Easy Weeknight Pasta Dinners ~ I’ve put together 5 of my favorite pasta recipes that are perfect for fall weeknight cooking. 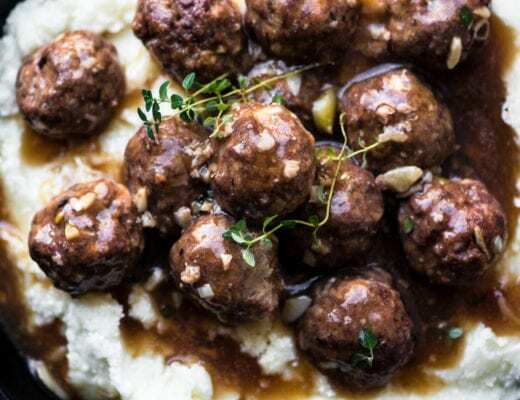 They’re simple, seasonal, quick 30 minute meals, and every one of them is a testament to the comforting power of carbs. 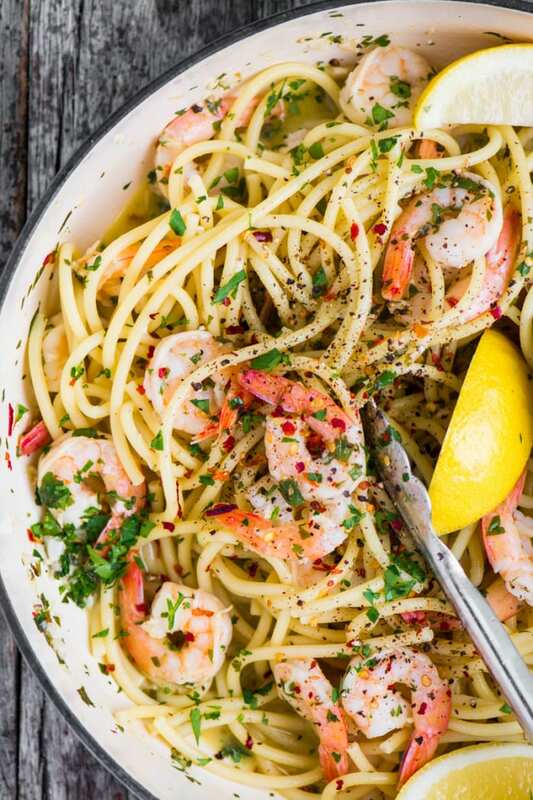 With just 5 main ingredients, this simple pasta is a great go-to for those nights you don’t feel like chopping veggies. 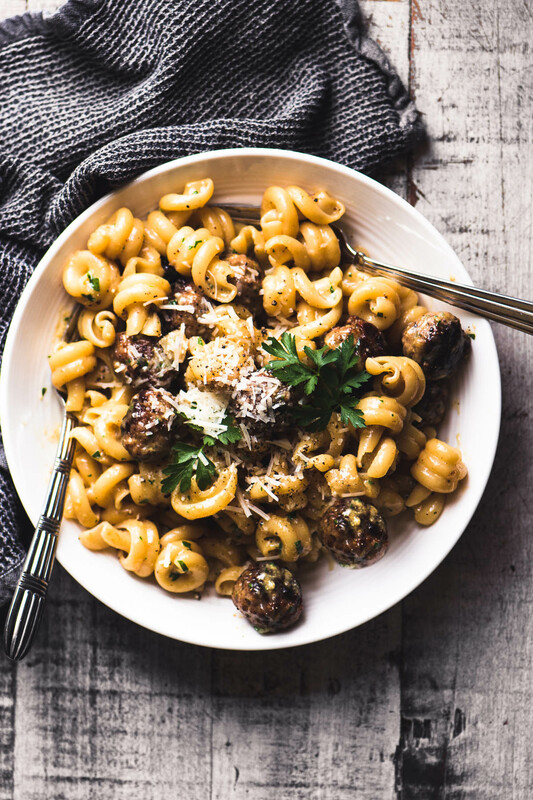 The little sausage balls are coated in ground pepper before frying which gives this pasta a unique edge without being overpowering. Minimal, satisfying, and easy! All it takes is one bite to realize you’ve been giving pepper the short shrift all your life. The flavor is gloriously complex and really gets a chance to shine in this mac and cheese inspired by a classic Italian sauce. This pasta looks and sounds impressive, but is a great example of how a few special ingredients, and not a ton of effort, can make an amazing meal. 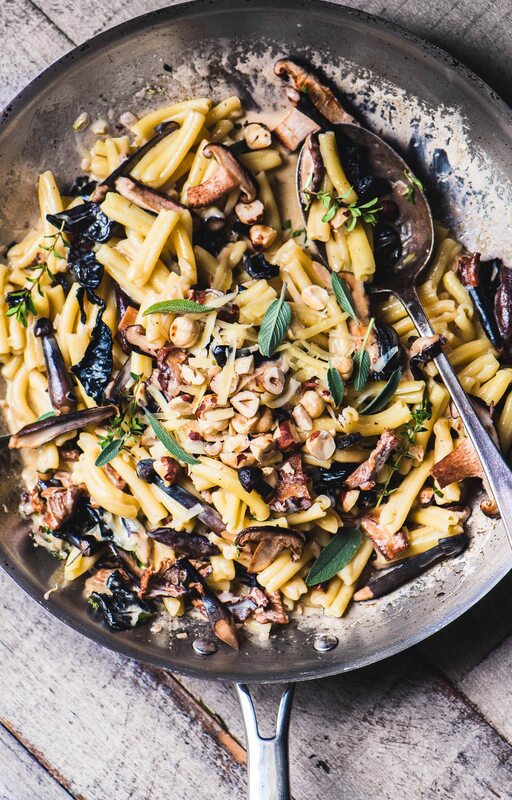 The earthy flavor combination of mushrooms, sage, and toasted hazelnuts is about as autumnal as it gets. Be sure to use fresh sage! 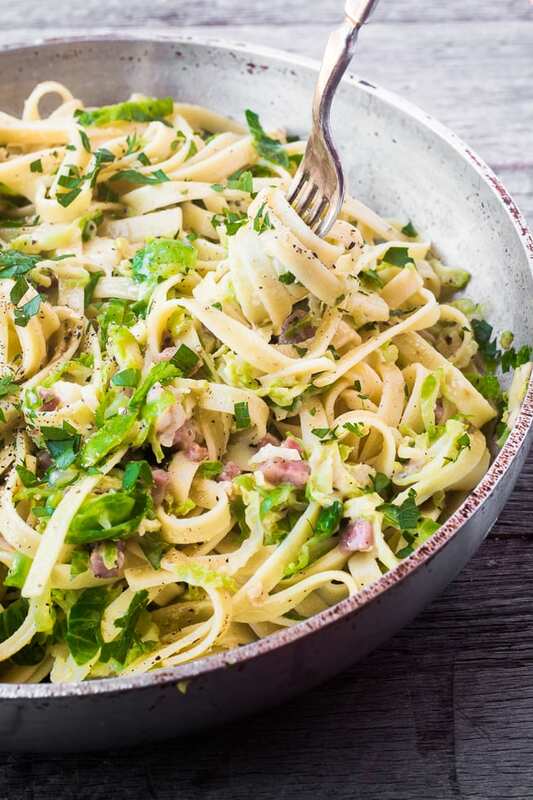 Put any sprout haters in your house to the test ~ pancetta and Brussels sprouts are a match made in heaven, and this easy riff on traditional carbonara is a great way to add a bit of healthy green into your weeknight routine. Do you always keep a bag of frozen shrimp in the freezer? 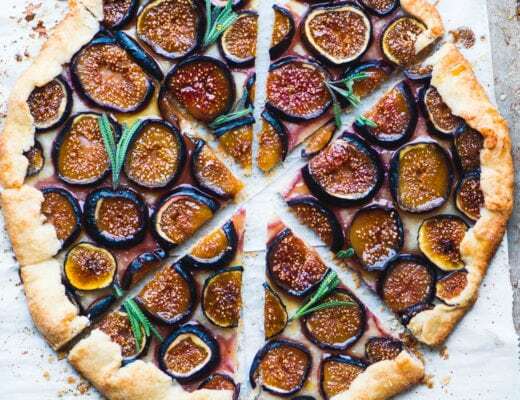 Smart move, because this classic dish comes together in the blink of an eye. Don’t hold back on the lemon or the chili flakes ~ yum! We adore pasta and love all of these especially the Brussels Sprout carbonara !! Can’t wait to make it! Great post Sue! 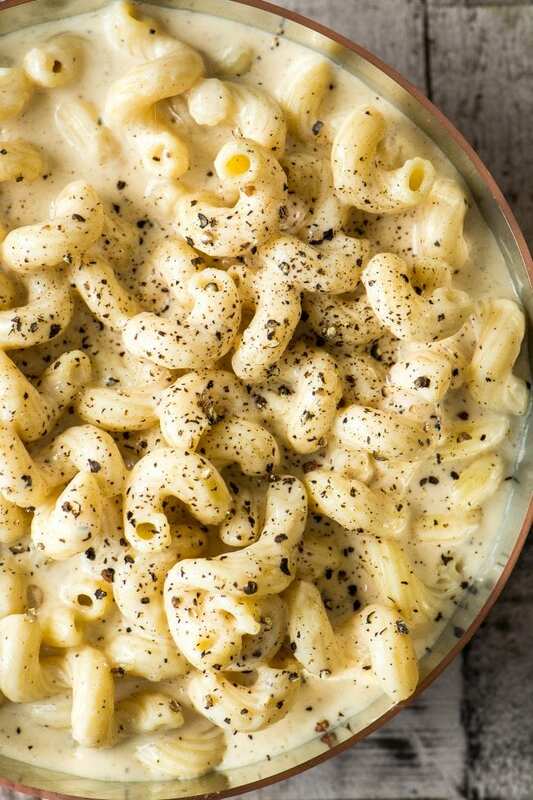 This Mac and cheese recipe would be even better in the insta pot, it only takes about 10 minutes to make Mac n cheese from scratch in the pressure cooker. I too love my pressure cooker and use it for everything. If you haven’t cooked hard boiled eggs, try it. There are some amazing recipes on Pinterest for the pressure cooker, can’t wait to see your growing list!! Happy cooking!! 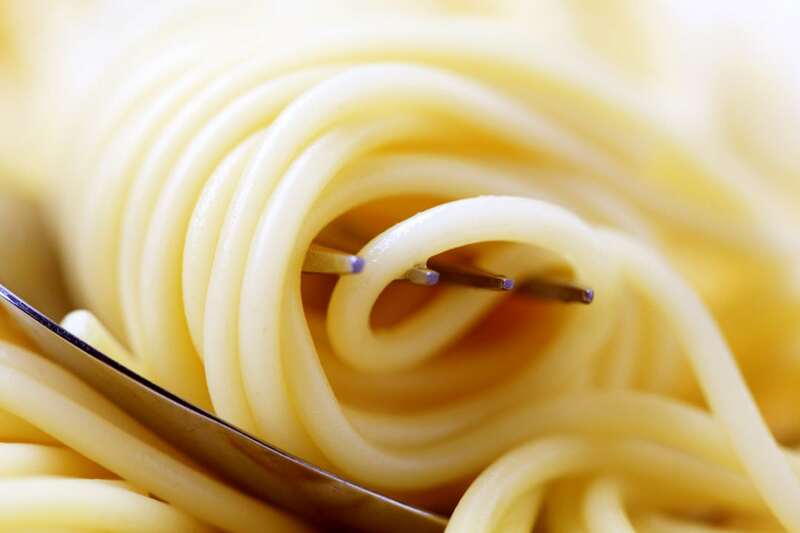 In my not so humble opinion, pasta is the perfect food and your recipes look perfectly delicious! I always visit your page, knowing I’m in for a visual treat – your photographs make me hungry! 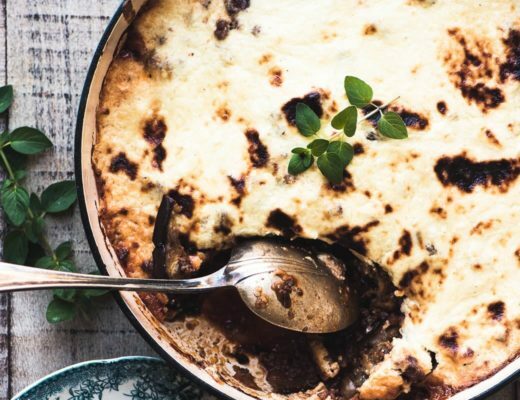 With fall fast approaching, I’ll be trying some of these recipes for warm and satisfying dinners! Thank you! Delish! Every single one looks amazing. I’m ready to pull out the pasta pot! Every time I come for a visit, I’m craving something new I never thought of. Your recipes are inspiring and look so delicious. I want them all!